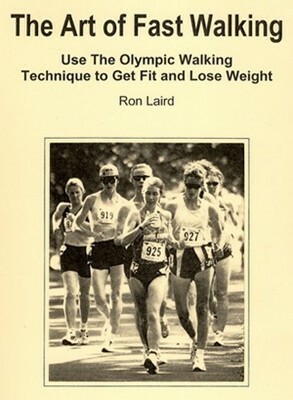 A must-have for the racewalking memorabilia fan, written by USA Track & Field Hall of Fame racewalker, Ron Laird. Autographed by the Author. Twins Kurt and Kate are hopeful young runners who live at the seashore. While training in the sand one day, they save an injured bird from drowning. 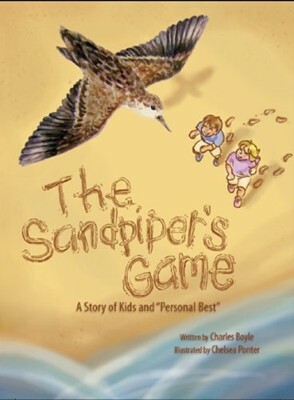 Grateful for his rescue, Sandy the Sandpiper promotes the theme of "Personal Best" in helping to make the twins and their track team faster. Better yet, he opens their minds to his vision of how to improve at whatever you do. 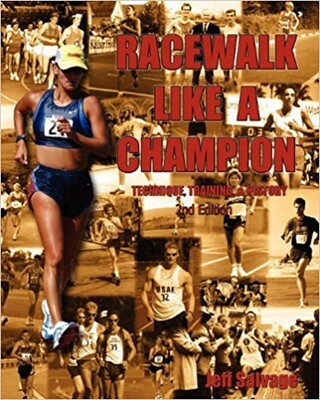 Printed with 8 1/2 x 11 full color pages, Race Walk Like a Champion is a compilation of technique, training and history of race walking. 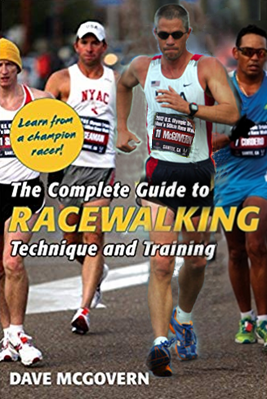 It combines approximately 400 photographs along with charts and diagrams to explain every detail of race walking. Starts with a detailed description of how to select your race walking shoes, explains how to warm up, details every aspect of race walking technique, explains judging, and has a comprehensive explanation of training philosophy. 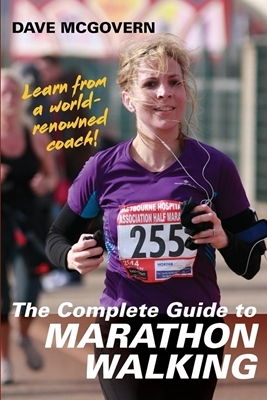 Other chapters include how to stretch, race, strength train, mental preparation, injury treatment and nutrition. 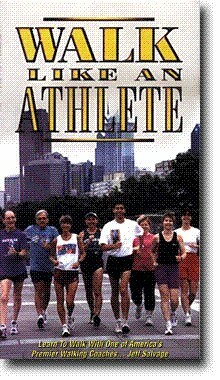 Also includes a comprehensive chapter on the history of American race walking. Each era of walking is broken up with an introduction and bios on the greats. Using the techniques of race walking, Walk Like an Athlete instructs walkers of all levels to maximize their walking workout. Containing approximately 100 computer rendered diagrams, Walk Like an Athlete covers proper walking technique, training philosophy, stretching, additional exercises, history of the sport, and much, much, more. 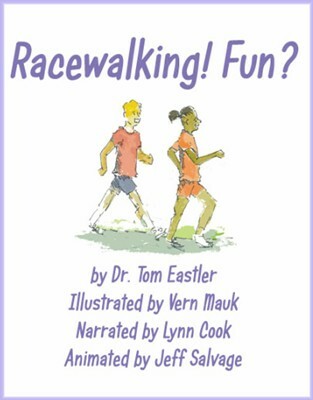 Great book demonstrating how racwewalking can be a fun way for kids to exercise.